Bethany Hamilton is an American professional surfer, who was born in Hawaii, on February 8, 1990. The story of Bethany has inspired thousands of people around the world to believe in themselves and their dreams. Let’s take a closer look at the story of this amazing young woman who survived a shark attack at the age of 13, lost her left arm and returned back on the board shortly thereafter. Hamilton got a spark towards surfing on an early age. She entered her first surf competition at the age of 8, winning two contests in different categories. The success in the competition made this determined and positive young surfer even more focused on her passion. 13 year-old Hamilton suffered from the biggest step-back of her career, when a tiger shark attacked her while surfing with her best friend Alana Blanchard and Alana’s brother and father. Bethany lost 60% of her blood and was left with a severed arm, but miraculously survived the incident. Somehow, she quickly found the strength to start recovering with a confident and hopeful attitude. Unimaginably, Bethany returned back on the board only a month after the attack. With optimism, faith and persistence she started training herself, aiming to enter surf competitions again. On her first rivalry after the accident, she placed 5th on the Open Women division of the contest. Not more than a year later, she took first place in the Explorer Women’s division of the 2005 NSSA National Championships – winning her first national title. With no intentions to stop, the fearless surfer still continues to kill the big waves today. In 2007, Hamilton reached her lifelong dream and turned pro. After turning into a professional surfer, she has competed in several World Tour events among many other major significant contests. One of her career highlights was to finish second on the ASP World Junior Championships in 2009. After the incident, Hamilton has published several books; Soul Surfer Series being the most broadly read and spread. In her publications, Bethany shares her insights towards healthy lifestyle, religion and surfing. In 2007, FilmDistrict started filming a small budget Hollywood movie based on Bethany’s autobiography. The movie was made with the budget of $18 million, and it has now grossed over $47 million worldwide. The movie got mixed reviews from the critics, but if you ask me, it serves the deepest meaning of Hamilton’s story perfectly: faith. AnnaSophia Robb, Helen Hunt and Dennis Quaid star in the leading roles. In a world which idolizes facts and realism, it’s these kinds of stories that might spark one’s belief in miracles. Reading Hamilton’s books made me understand that every situation has a silver lining – something that’s often challenging to realize. Everything that might make us struggle today, is making us stronger for tomorrow. Today Bethany is happily married and continues to live her life with faith in God and enthusiasm towards health and fitness. She travels the world surfing, and continues to encourage people with her story and optimism. I couldn’t be more honored to share a tiny bit of Bethany’s history for those of you who haven’t heard it. You can read more about her travels and future adventures from the official website or follow her updates on Instagram. *Sources to the text here, here and here. Photos sources linked in the numbers 1-4 above. At the fresh age of 15, Rita packed her bags and started exploring the world. 10 years and more than 50 countries later, she is still on the road. 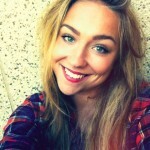 Originally from Finland, she is currently based in Copenhagen and San Diego. A few years ago, Rita decided to take a break from social media and focus on exactly where she was and with whom she was at the given moment. During those years, she focused on shooting film and wrote a novel about traveling as a young girl. 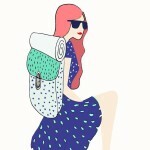 Her latest project, traveldelic, is about 365 things travel has taught her so far. Please feel free to share your thoughts with her here. Find her on Instagram @traveldelic. Wow what an inspiring story! Nice post. I learn something totally new and challenging onn websites I stumbleupon everyday. It's always exciting to read content from other authors and practice something from other sites. @Nita I couldn't agree more. I truly love her positive outlook on life. Life is just so much more fun when you have a smile on your face. Enjoy your weekend ladies and thank you for commenting. That makes my day always a tiny bit better. WOW, that’s so inspiring. 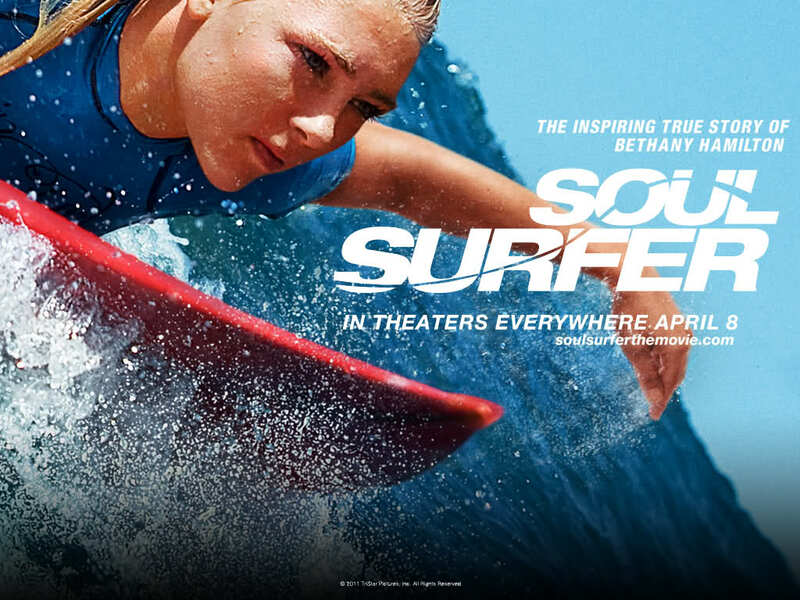 And the movie “Soul Surfer”, is one of the best movie I’ve seen. WAOOOO k sorprendente es una gran inspiración y motivación!!!! !para seguir adelante!!!!!!!! !